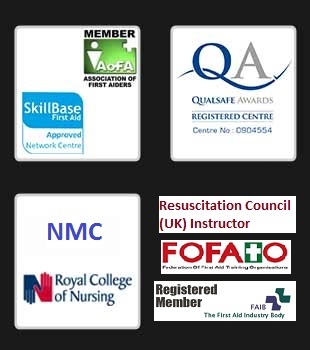 We run First Aid, CPR, Automated External Defibrillator (AED) and emergency training courses to support educational organisations ranging from Nursery care through to Schools, Colleges AND Universities. We have extensive experience and skills in training staff and parents on first aid, emergency first aid and health and safety training. We can come to your premises to deliver on-site training courses for teachers and staff as well as offer training to pupils and parents. This course is designed for those working in a nursery or daycare setting and provides certified training to meet Ofsted’s requirements. The course is taught in a very hands-on manner. It equips you with the skills to be able to recognise and respond to a first aid emergency to baby and child in a safe a efficient manner. This course is designed specifically for those working in a school setting. It provides staff with the skills to be able to respond to a first aid emergency until a medical professional arrives. It is vital that should a first aid emergency happen in the playground, dinner hall, classroom or during an excursion; all teachers and support workers will be able to assess risks and successfully manage any emergency medical situations.